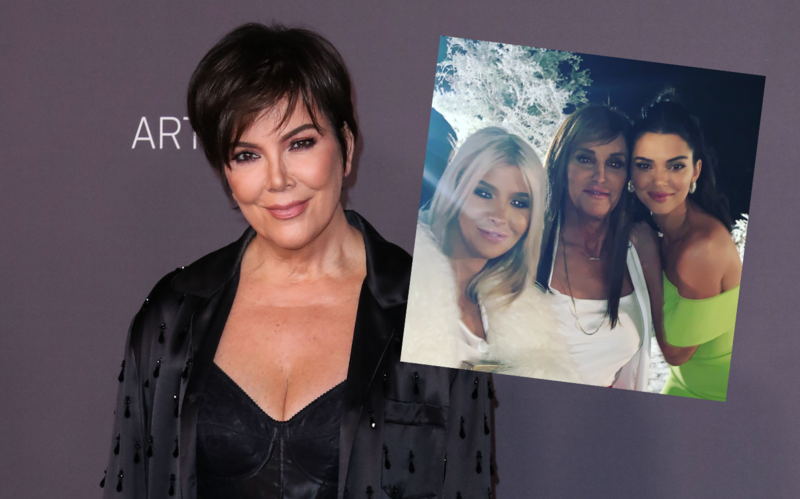 Caitlyn Jenner showed up at Kris Jenner’s Christmas party after all. The I Am Cait star brought girlfriend Sophia Hutchins with her to Kim Kardashian’s house, where the annual blowout event was held. It must’ve been a little awkward, since Caitlyn was originally kept off the guest list amid her feuding with her ex-wife and step kids. Click through the gallery for all the info. Caitlyn, 69, posted photos and videos from the extravagant party. It was held at Kim and Kanye West’s house, though it was still hosted by Kris. Caitlyn’s first video showed the entrance of the house. “It looks like it’s snowing in Malibu! How cool,” the former Olympian remarked. “So happy to be with family last night! Boy oh boy!! !” Caitlyn wrote in the caption. “@kimkardashian and Kanye know how to make a winter wonderland!! So good seeing everyone and celebrating such a special time of year with you all! Love you all.” She tagged Kendall, Kylie, Kourtney, and Khloe along with Kim and Kris. She also shared videos of the band and of kids tubing down a hill covered in fake snow. By Caitlyn’s side was 22-year-old Sophia. As Star readers know, Caitlyn refuses to confirm that they’re a romantic couple, even though they live together. Caitlyn was originally excluded from the Christmas party. “There is still distance with the holidays and the kids don’t’ really like Sophia,” a source told RadarOnline.com. “They think she is an opportunist.” Hopefully Kylie and Kendall didn’t feel too weird seeing the young woman with Caitlyn. What do you think of Caitlyn and Sophia attending the Kardashian Christmas party? Sound off in the comments!